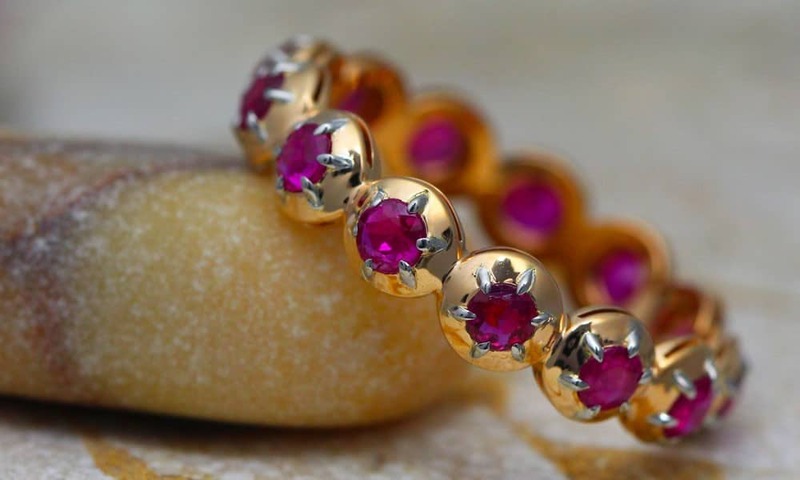 This unique full Circle band, designed to a contemporary style, set with thirteen early 20th century vintage round rubies, weighing a total of 1.267 carats. 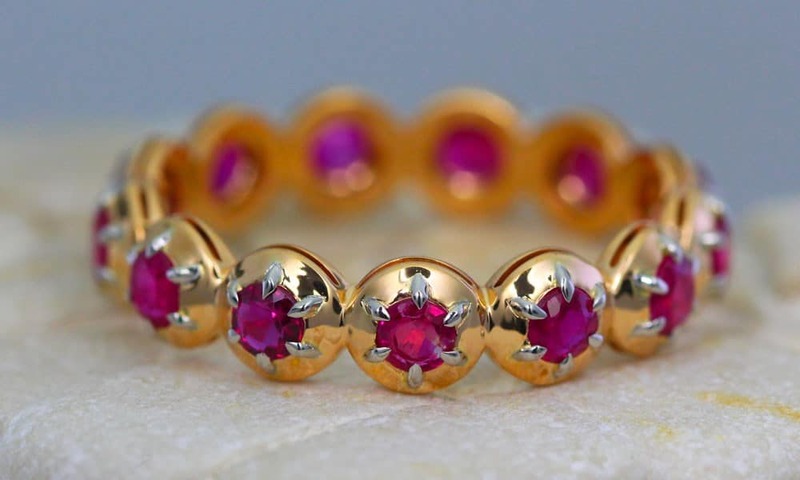 The gems from our private collection are mounted on a 18kt red gold contemporary collet-band. The Rubies are further secured with uniquely applied platinum prongs (six on each collet) which also adds a unique contrast and character to the jewel. 18kt red gold and Platinum, 2.348 grams.